Today I finished creating this nice ‘JOY’ Christmas banner. This banner would look great on a fireplace, on a wall, or an entrance door. This Christmas banner is made from felt and is decorated with flowers made from felt, pearl stickers, and a felt figurine. I have used a high quality felt and non allergenic fiber fill when creating this Christmas garland. I have carefully crafted every small piece of this garland and I am sure it will be a nice addition to your Christmas décor. All parts of this ‘JOY’ garland are made by me – this is a handmade item. The length of this banner is 24 inch (61 cm). Each letter is approximately 7 1/2 inch (19 cm) by 4 1/2 inch (11 cm). This ‘JOY’ banner is available for purchase in my Etsy store. 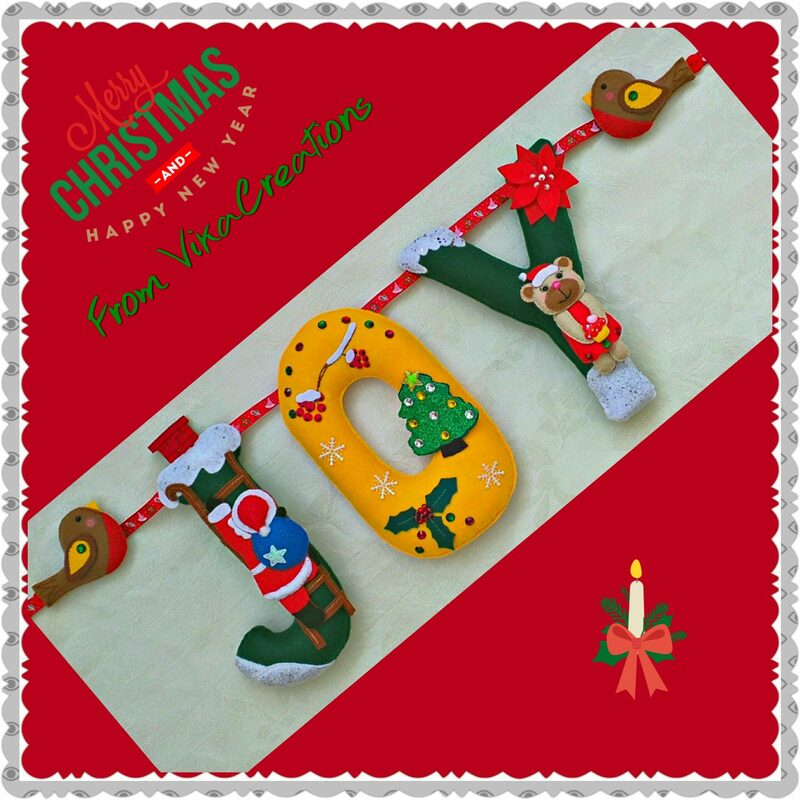 Here is the link that will take you to the Etsy page where this garland is offered: ‘JOY’ Christmas Garland, Etsy VikaCreations Store.